If you’re considering Consulting, the time for preparation is now. The consulting industry is wide-ranging and one of the most in-demand entry-level options for students. The good news is, the industry is hiring and will continue to seek bright and eager new graduates for their programs. 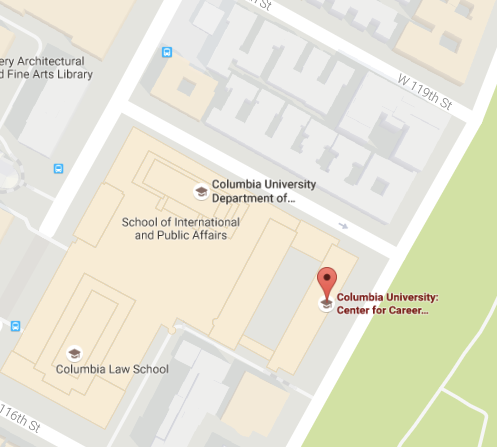 Companies including Accenture, Oliver Wyman, and Strategy& are actively engaged with the Columbia community and are sure to make their presence and hiring needs known in the fall. If you are an undergraduate Sophomore or Junior or Master’s student interested in pursuing an internship or full-time role in the industry, now is the time to get ready! **Note that typically, there are fewer summer internship opportunities than there are full-time. While many Consulting firms will post their open positions in LionSHARE, some will require you find and apply directly through their websites. Make sure you have your eyes on the Careers pages of your firms of interest. The consulting interview typically consists of multiple rounds of interviews. Through this process, candidates will participate in both behavioral and case interviews. The cases, in particular, can be tricky to navigate unless you are prepared. Many of the firms we spoke to suggested students review the interview guides posted on their company websites. Others continue to encourage traditional preparation materials including Vault Guides and the book Case in Point. Check out our case interview prep resource for additional information. An interest in consulting should be carefully considered. The consulting industry, the job function, the hours, the culture is very dynamic, fast-paced and demanding. Do your research and make sure you are interested in the position, the company and the culture of this work. Often, students believe that previous internship experience in consulting or finance is required for a full-time position in consulting…this is NOT true! Most firms told us they are looking for a diverse group of new graduates to fill their full-time entry-level roles. Highlight your academic background, your interests, and your personal experiences in your cover letter to showcase the unique contributions you are uniquely positioned to make. Understand that the consulting industry is made up of many firms each with its own specialty or niche focus. Review the CCE Industry pages to learn about the area (s) in which you might fit best, based on your skills, experiences and interests. Practice case interviews early and often. Students can ask family, friends and advisors in the Center for Career Education to help them go through a case interview. Case interviews are not designed to see if you can correctly answer a difficult question. Rather, the case is designed to see how you think, your approach, your understanding of how to break a problem down and build it back up in an effort to arrive at a solution. It sounds harder than it is but the benefits of PRACTICE can’t be stressed enough! Visit the consulting industry page to learn more and make an appointment with a Career Counselor via LionSHARE to discuss application strategy for the consulting recruiting season.